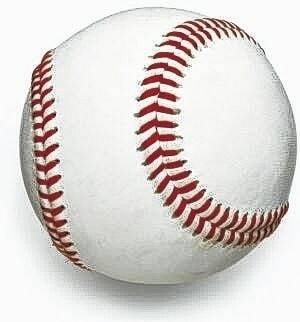 CLAYTON — The Northmont Tancs beat Fairborn 7-6 by rallying for three runs in the home half of the eighth inning Tuesday at ‘The Yard’ at Northmont High School. With the victory the Tancs improved to 12-2. C.J. Vanschaik belted a single to center field to bring home Gage Beireis with the winning run. Trailing 6-4 in the bottom of the eighth Noah Birdsall reached base on a fielder’s choice with Austin Kossoudji, who reached on a walk, getting forced out at second. Jonathan Eber singled with Birdsall advancing to third. Beireis drew a walk and Doug Bauser singled to score Birdsall and Eber to tie the game and Vanschaik followed with the game winning hit to bring Beireis home from second base with the decisive run. Seth Oberer earned the victory on the mound. He allowed two runs in two innings of work with three strikeouts, one walk and allowed one hit. At the plate A.J. Staley went 2 for 3 with one run. Justin Schuh went 1 for 3 with one RBI. Kossoudji went 1 for 2 with one RBI. Birdsall scored twice after reaching base on a walk and a fielder’s choice. Eber went 1 for 3 with one run. Bauser went 1 for 2 with a run and one RBI. Vanschaik went 1 for 3 with one RBI and Dylan Guth went 1 for 2. Northmont will host site for both the ACME Sectional and District tournaments. The Tancs open sectional play on Saturday at 10 a.m. vs Troy. If Northmont wins it will advance to play the winner of the 12:30 p.m. game between Greenville and Versailles on Sunday at noon. If the Tancs lose to Troy they will play at 2:30 p.m. Sunday against the loser of the Greenville vs Versailles game.